It is a shame that the weather seems to be one of the few factors that gets the Government to acknowledge the dire housing and homeless situation the country faces. I had the opportunity to question the Minster for Housing on the numerous calls I receive daily from persons in the private rental market faced with eviction for precarious reasons. Despite the rhetoric we all know the reality that it is next to impossible to find a HAP accepting property and despite the ambitious plans the reality is that the local authorities housing lists are not moving any quicker. I am always perplexed by the speed at which student accommodation can be built in huge quantity around Dublin Central and I do not understand why the same urgency cannot be directed towards social and affordable housing. I asked the Minister for Housing if his attention has been drawn to the difficulties faced by persons renting private properties that have been given notice to vacate and the lack of options persons in this predicament face in view of the volatile market and lack of social housing; and if he will make a statement on the matter. A number of measures have been introduced in recent years with the objective of improving security of tenure for tenants. Security of tenure provisions under the Residential Tenancies Acts 2004-2016 apply once a tenant has been in occupation of a dwelling for a continuous period of 6 months, with no notice of termination having been served during that time. 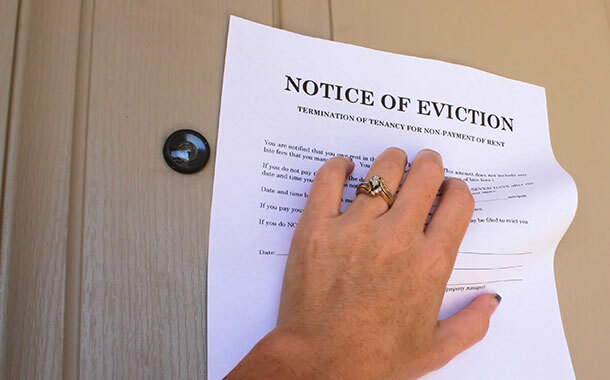 Section 34 provides that a landlord must state a reason for the termination in any notice served, in line with those set out in section 34 of the Act. The Residential Tenancies Board (RTB) was established as an independent statutory body under the Acts to operate a national tenancy registration system and to resolve disputes between landlords and tenants. Section 56 of the Act provides that, where there is an abuse of the termination procedure in section 34, a tenant may bring a complaint to the RTB on the basis that they have been unjustly deprived of possession of a dwelling by their landlord. Further information from the RTB is available at www.rtb.ie/tenants and through the RTB helpline – Lo-call on 0818 30 30 37 (mobile operators may charge a premium rate to the Lo-call number) or 01 702 8100 – available from Monday to Friday, 8:30am to 6.30pm. The so-called ‘Tyrrelstown amendment’, included in the 2016 Planning and Development (Housing) and Residential Tenancies Act, already limits the ability of landlords to use the grounds of sale to terminate tenancies, provided for in section 34 of the Residential Tenancies Act. Where a landlord proposes to sell 10 or more units within a single development at the same time, that sale will now be subject to the existing tenants remaining in situ, other than in exceptional circumstances. The Residential Tenancies (Amendment) Act 2015, enacted on 4 December 2015, provided that notice periods for the termination of further Part 4 tenancies, i.e. tenancies that extended beyond 4 years, be extendedpro rata in line with the length of the tenancy, subject to caps of 224 days for termination by landlords and 112 days for terminations by tenants (previously 112 days for landlords and 56 days for tenants). Furthermore, the Strategy for the Rental Sector, published in December 2016, recognises rapidly increasing rent prices as the most significant challenge to security of tenure in the rental sector at present. Where tenants cannot afford their rents, their tenancies are not secure and evictions for non-payment of rent may ensue. To address this, the Government introduced, through the 2016 Act, the concept of Rent Pressure Zones (RPZs) to moderate the rate of rent increases in those areas of the country where rents are highest and rising quickly. The 2016 Act also gave effect to other actions to address tenants’ security, including the abolition of a landlord’s right, during the first 6 months of a further Part 4 tenancy, to end that tenancy for no stated ground, and the extension of the term of Part 4 tenancies from 4 to 6 years. In September 2017, as part of the review of the Rent Predictability Measures, I announced a series of further measures in relation to the rental sector, including a two-year change plan to develop and strengthen the role of the Residential Tenancies Board (RTB), particularly with regard to enforcement. With regard to social housing supply, the Government has made housing a top priority and, through the Rebuilding Ireland Action Plan, has a framework in place to deliver an increase and acceleration in the supply of high quality housing, including social and affordable homes, particularly in the major urban areas where demand is greatest. Rebuilding Ireland contains a suite of actions that will increase housing construction and refurbishment. Under Pillar 2 of the Action Plan, 50,000 new social homes will be delivered by 2021, supported by €6 billion in exchequer funding. Of these, 33,500 homes will be provided through direct construction and refurbishment and as of Quarter 3 of 2017, there were over 12,000 new homes in the social housing construction pipeline, including those on site or recently completed, and this is being added to on a weekly basis. I expect to provide a further update on social housing construction activity in the coming weeks.